At the weekend my daughter Sienna found a stick insect in our living room. It was on our TV remote, tiny and wobbling from side to side. Incidentally no one is sure why they do this. We put the stick insect in a clear container and sienna carried it around the house until it got out and we found a lid to put on it. I told Sienna about how she was going to have to keep it safe in the container, opening the lid to give it air and that she would need to feed it. What an earth do stick insets eat though? I hadn’t a clue! It turns out they eat brambles and a select few other leaves. As I went out for a ride that day I started thinking about that stick insect and the things it needed to thrive. It was quite simple really, food, air, water and a safe home. Unless it had those things it wasn’t going to do too well. Then, I started to think about myself and mountain biking. To thrive and do the best I can I need certain things. I need to train and practice, I need to eat properly and I need to sleep well and I also need my equipment to work (which doesn’t always happen). In reality how on earth can anyone expect to be the best they could possibly be if they don’t have the things they need to thrive? These may be different for everyone. 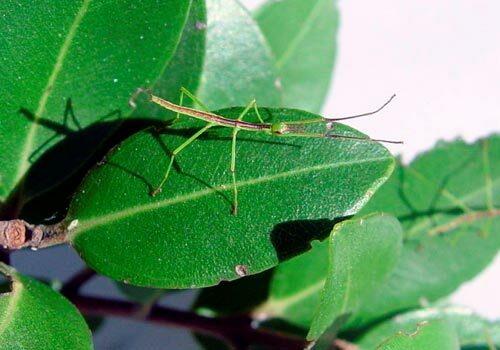 Interestingly there are many different types of stick insects in NZ and they are not well understood because they are camouflaged and nocturnal, so hard to catch. It is quite possible they have many different needs to thrive too. It’s made me contemplate what steps I need to take to be the best mountain biker I can, but also what limits me in terms of my capability i.e. two kids, a fullish time job! Who would have though a stick insect and a mountain biker have any thing in common! Later that day the stick insect escaped again and whilst Sienna was looking for it she stepped on it… it turns out wilderness is something else they need to thrive too!